Reinvent how you do business. Automated Rev‑Trac SAP change management and control for the digital age. Run your business on our fully integrated SAP change control platform to reinvent how you work. No matter your industry, our automation software allows your business to better manage its SAP environment to keep pace in a digital world. Achieve project goals with automation software that transforms your change control processes, maximizing the value of your SAP investment. Reduce levels of risk to production systems and enforce standardized change control processes to accelerate transformation without going over your budget. Our change control automation platform allows IT teams to work together. Transform your change control process with software designed to improve team communication, increase transparency and ensure a consistent, unified approach. Want to know if Rev-Trac is right for your business? 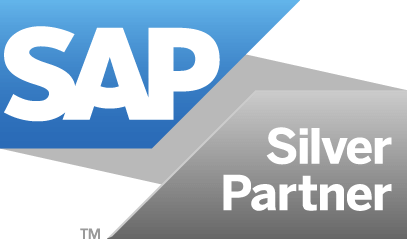 Speak to one of our SAP Change Control Experts about how Rev-Trac can help you achieve your business objectives. SAP projects can be time and often labour intensive with countless code changes and versions across systems. Code changes – even small ones – are a potential risk to SAP systems. The more complex the SAP landscape, the greater the risk of project and release delivery incidents. An accidental loss of custom code during a crash or restore can be an expensive disaster. Want to know if Rev-Trac Insights is right for your business? What better way to answer that question than to actually see it in action in your own systems with an obligation free trial. In the digital age the only constant is change. Whatever your industry, organizations need to move fast to survive. Automation is critical to accelerating transformation, improving the performance of your SAP solutions and re-deploying resources to drive innovation. Is your organization considering managing SAP change across an N and N+1 landscape? Rapidly rising customer expectations are forcing companies to reimagine how they do business. Speed is at the heart of this new world. More for less, and faster than ever before is the new mantra. Whatever your industry, if your business cannot constantly adapt to the pace of change, its future is uncertain. Keeping pace in the digital age means modernizing software development to speed up application delivery. Traditional SAP application development methods with large teams working on high-stake projects, and siloed systems and processes are on the way out. Making SAP agile and replacing high-risk manual tasks with automated tools and processes delivers faster, safer and better applications. How much could your business save through eliminating high-risk, manual SAP change control processes with Rev-Trac? Find out now! Calculate your possible average savings today.